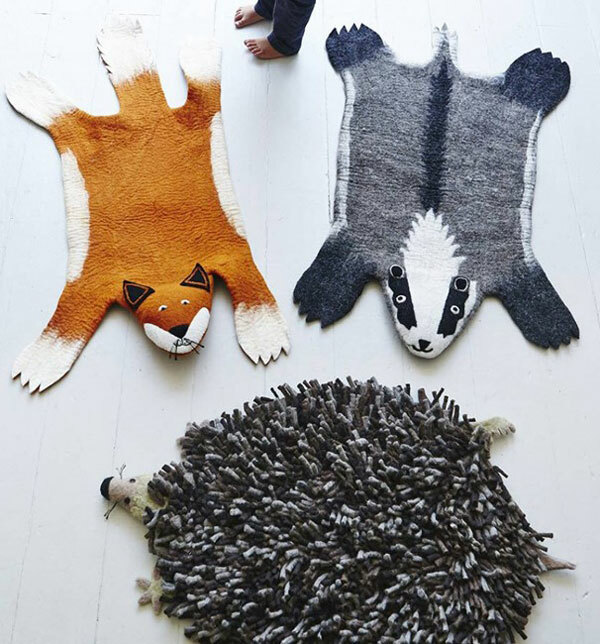 Animal Felt Rugs - hedgehogs, badgers and foxes, oh my! 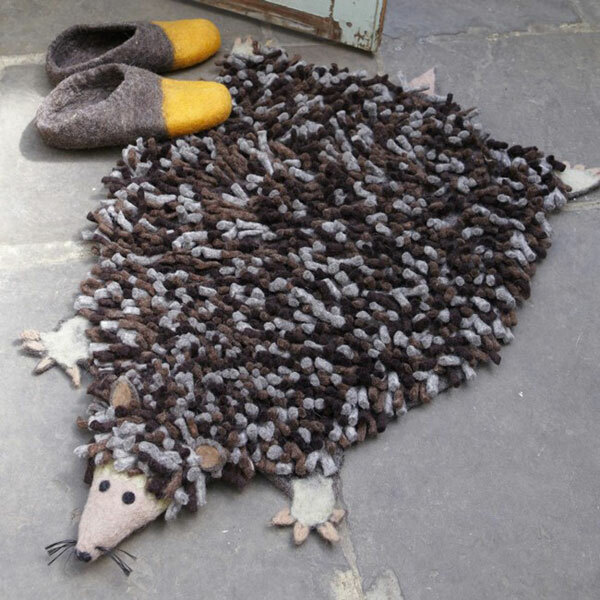 Animal Felt Rugs – hedgehogs, badgers and foxes, oh my! Are you flat out finding special items to finish off the look of your child’s nursery, bedroom or play space? We’ve discovered a small collection of rugs, like no other we’ve seen, that bring wow factor to any space! These quirky Animal Felt Rugs are designed in England and handmade in Nepal, providing sustainable employment to the extremely talented local women. There are three characters to choose from – Herby Hedgehog with his sublime soft spikes, sleek monochrome Billie Badger and Finlay Fox in all his white socked glory. Each rug is carefully created by shaping soft organic wool with water and soap, then finished off beautifully by sewing their ears, eyes and noses on. A great size for children, these Animal Felt Rugs are around 110 x 65 centimetres, perfect for a play or reading nook. All Animal Felt Rugs are priced $180 and available locally at Lark.